On November 7th 1994, Philip Fairclough fell fifteen feet from a ladder onto a concrete patio. The impact caused massive trauma to his head and the subsequent brain damage he suffered has radically changed his life. At first unable to dress himself, cross roads on his own or tell the time, Philip underwent an intensive course of rehabilitation and occupational therapy, which slowly restored many of the lost skills that he had once taken for granted. His account tells of the hurdles he faced and overcame while in residence at a rehabilitation centre, the difficulties of readapting to family life, and finally the emergence of his new vocation as a writer. Like most of us, Philip never expected that severe injury would happen to him - but from the first he decided not to give up. His courage, determination and the support of his family characterize this account, which interweaves his own story with practical information about brain injury. 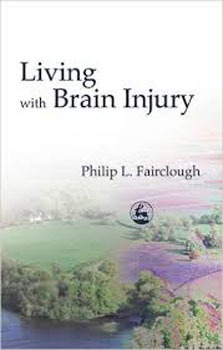 Members of the medical profession, physiotherapists, occupational therapists and counsellors will all find this account helpful and revealing - as will people affected personally by brain injury, and their families and friends.